ESG factors are now increasingly forming part of credit risk assessments in Asia, a move pushed forward by the trend towards sustainable investing. 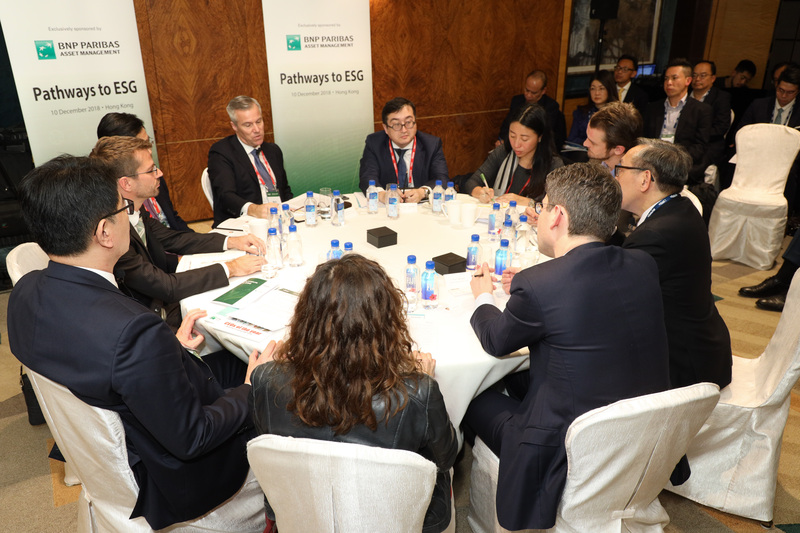 The Asset invited investors from pension funds, private banks, family office, asset managers, issuers and a UN-backed independent proponent to share their insights with fellow delegates at the ESG forum. Since its induction in 2006, Principles for Responsible Investment (PRI) signatories has hit 2000 this year. The conceptual framework behind undertaking responsible investment or sustainable investment originates from Europe and the US, and now, with the global momentum of ESG investing, it is getting more popular in Asia as well. “Knowledge level is steadily rising. Some Asian asset owners have already become a signatory of the PRI, but it is critical for more asset owners to come onboard," says Alex Ng, chief investment officer in APAC at BNP Paribas Asset Management. James Robertson, head of Asia (ex-China and Japan) at UN PRI, cites growing interest in the region. "In terms of signatories, Asia composes a smaller part of the overall total. From 30 signatories not so long ago, this has increased to 90 signatories now, ex-Japan. Yet, last year, Asia's growth of signatories was the highest, reflecting the region's interest in responsible investment. Members in China rose more than double, including the top 10 largest fund managers in China." According to Robertson, much flag waving, education and awareness raising work has been done to arouse interest among Asian investors. Feedback and reaction inferred that ESG investing meant sacrificing returns and limits the exposure to certain asset classes. Despite these perceived misgivings, it is the younger generation of the wealthy who are one of the main proponents of ESG investing. According to Tze-wei Ng, head of advocacy and engagement, Sustainable Finance Initiative of RS Group, a variety of motives lay behind the participation of young wealthy individuals in ESG investing. More generally, interest levels are definitely growing, Ng revealed. "Some come from a philanthropy perspective, thinking whether they can do philanthropy more effectively by impact investing. Others are trying to align their investment with their values. They are seeking to persuade their family that it would work. So, they are certainly seeking a market return but they also want to see how the impact landed," Ng says. One of the core activities of SFI is peer to peer sharing. A pool of sustainable investors come together and look at assets that are above, below and right at market rate to see what they can invest in. Despite increasing interest in Asia, one issue raised by delegates is that the current ESG standards seem to be dominated by western standards and conversations. Tackling this issue, Robertson affirmed that allowing flexibility for ESG investing to vary by countries or by sectors has created some confusion. "In Korea, they use the terminology called SRIs (socially responsible investing), the same in Malaysia. While in HK or in China, the discussion has come under the green finance umbrella, which of course includes responsible investing but green finance comes out as the primary focus," he adds. He called for a greater level of clarity of understanding the principles behind ESG.